This entry was posted on 3 December, 2008 at 11:12 am	and is filed under Technology & Devices, Web 2.0 & Emerging Technologies. 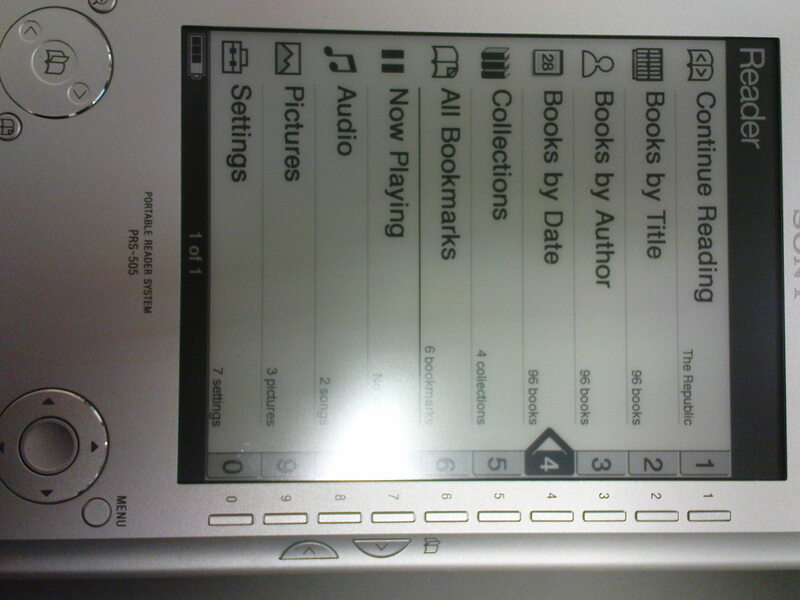 Tagged: books, ebook, electronic, portable, PRS-505, reader, review, sony, technology. You can follow any responses to this entry through the RSS 2.0 feed. You can leave a response, or trackback from your own site. A nearly nifty gadget then? 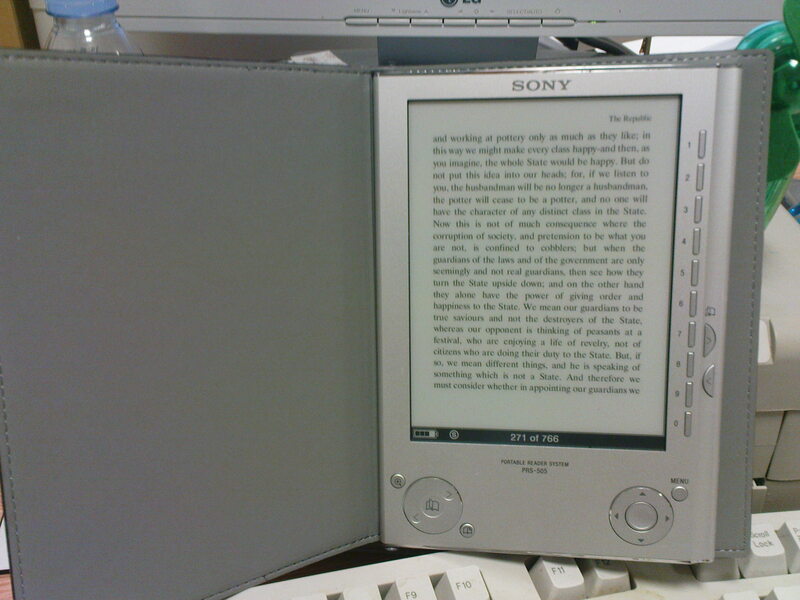 That’s it – a nice generation 1 device, but with some kinks and refinements needed before it goes mass market. Give it a year or two of development and watch this space. 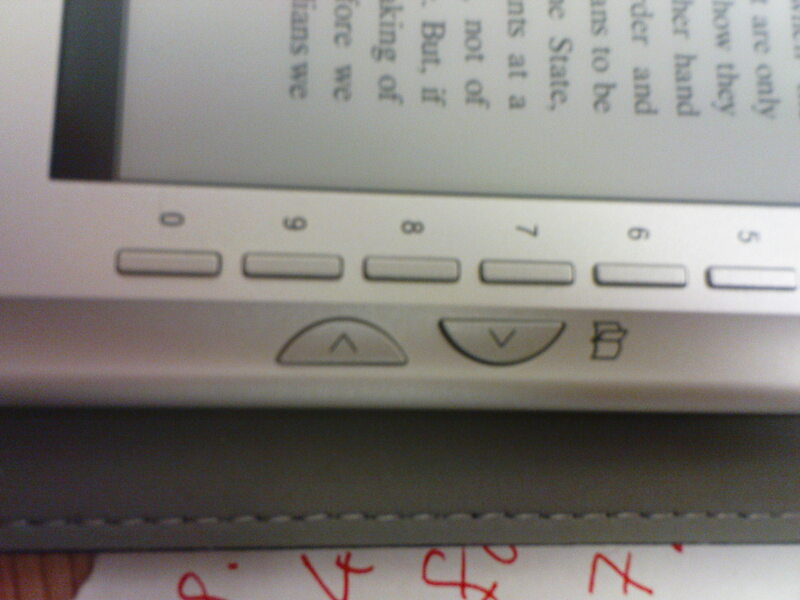 Then we’ll be getting requests for downloading our ebooks to them on mass I reckon! Should such devices be called e-book showers? I might expect a “reader” to speak the text to me. Still the Sony is a nice bit of kit.